Chinese New Year is celebrated on the first 15 days of the first lunar month, in quite an interesting manner in Malaysia and Singapore. 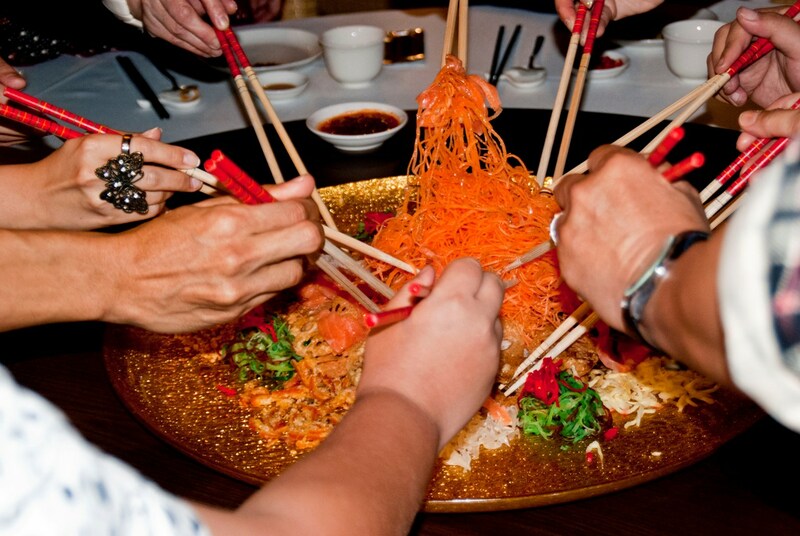 Yusheng, a raw fish salad that has a sweet and tangy taste is tossed in the air. The higher it goes up in the air, the better will be the diner’s fortune for the year. What’s in the name Yusheng? 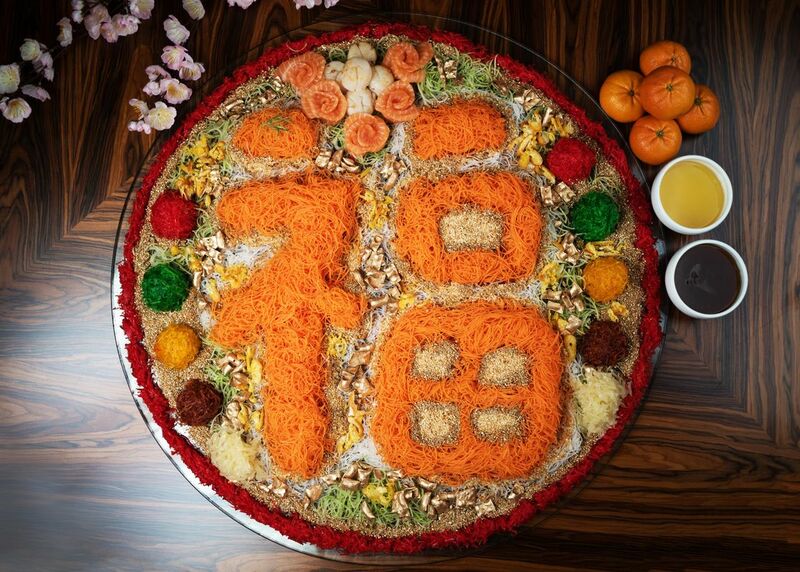 Yusheng is very symbolic and the name itself plays on homophones. Yu in Chinese stands for fish however, its pronunciation is akin to the Chinese term for abundance. The literal translation of Yu sheng is “raw fish” but its pronunciation sounds like the phrase meaning “increase in abundance” in Chinese. The dish symbolizes abundance and prosperity. 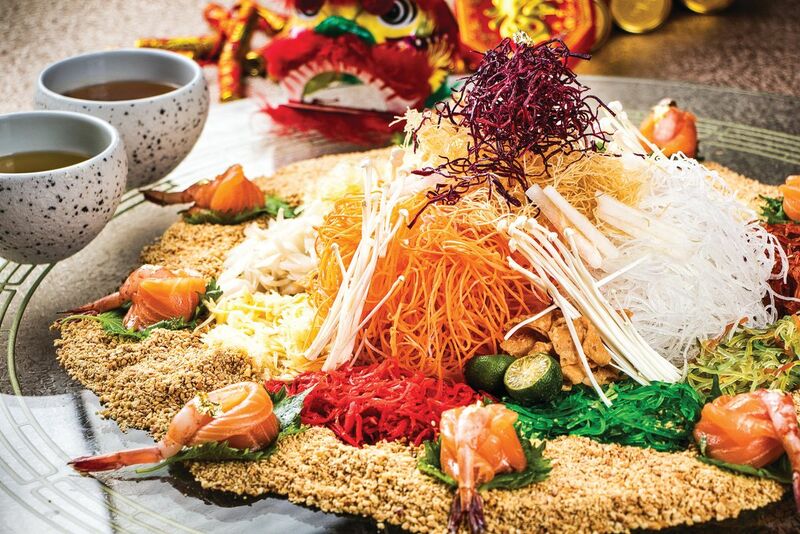 Raw fish strips and shredded vegetables when seasoned with a variety of sauces and condiments give Yusheng a colourful appearance and an irresistible taste. Even its ingredients carry symbolism based on Chinese sayings such as lime symbolizes luck, peanuts symbolize silver and gold, green radishes symbolize everlasting youth, and white radishes symbolize success in career. All the ingredients are added one at a time and every time an ingredient is put into the dish, the person who is preparing the dish says some well-wishing words. 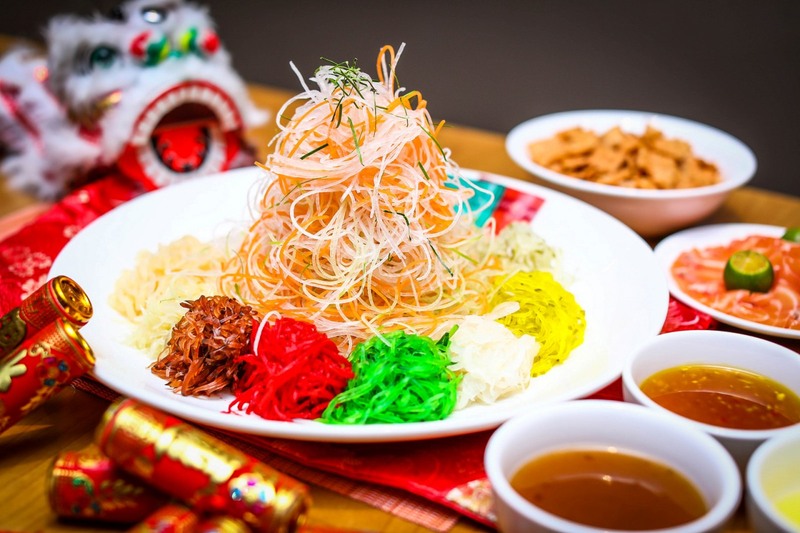 And when all the ingredients have been put into the dish, each diner tosses his/her dish into the air while chanting “lo hei” which is a Cantonese phrase conveying a propitious New Year wish. The higher the dish is tossed up in the air, the better the person’s fortune will be for the year.